Registration #CH53163. A COPY OF THE OFFICIAL REGISTRATION AND FINANCIAL INFORMATION MAY BE OBTAINED FROM THE DIVISION OF CONSUMER SERVICES BY CALLING TOLL-FREE (800-435-7352) WITHIN THE STATE. REGISTRATION DOES NOT IMPLY ENDORSEMENT, APPROVAL, OR RECOMMENDATION BY THE STATE. The fundraising activities of Holly Jolly Shopping Spree are carried on by volunteers, members or officers who are not compensated and no part of the assets or income of the organization or sponsor inures to the benefit of or is paid to any officer or member of the charitable organization or sponsor. 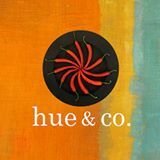 designed by hue & co.